It’s almost May 4, and that means we’re fast-approaching Star Wars Day, the holiest of holidays for people who like Star Wars and dates that are also a pun. 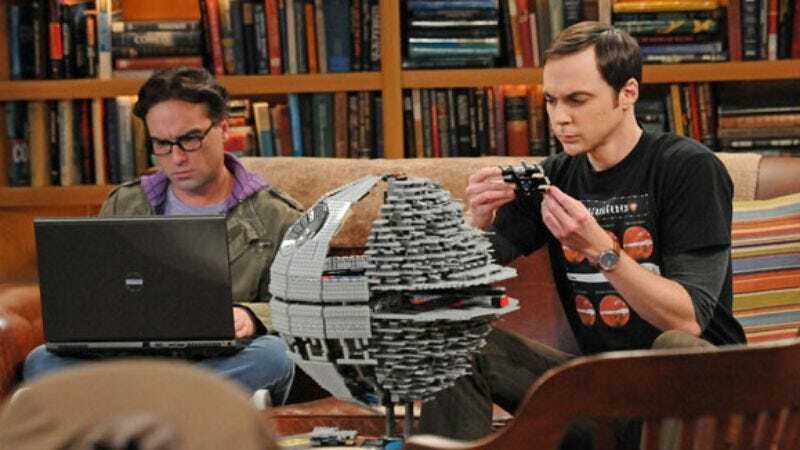 In addition to frosty glasses of blue milk and the annual exchange of Wookie-ookies, you’ll have a new way to celebrate this year, thanks to those wacky nerds on The Big Bang Theory. As revealed by The Hollywood Reporter, the CBS sitcom will devote its upcoming May 1 episode to Star Wars Day with such excitement as an “increase in set decoration” and “additional goodies.” The cast will also wear Star Wars shirts—something only a wacky nerd would do—and the CG masters at Industrial Light And Magic will provide lightsaber effects as well as some kind of elaborate recreation of Yoda’s home planet of Dagobah. Of course, no Star Wars Day celebration is complete without an appearance from Bob Newhart, famous not only for not appearing in the Star Wars films at all, but also for not being particularly familiar with them. (Big Bang Theory creator Chuck Lorre and showrunner Steve Molaro reportedly had to give Newhart a “quick primer” on them.) Newhart will be appearing in the special episode as an “iconic character” from the movies, though everyone is keeping a lid on who exactly that will be. We’re not ones to spoil anybody’s fun, so rather than spell it out, we’ll just direct you to the fact that Newhart says they forced him to watch The Phantom Menace so he’d know what the character looked like, that he’ll be appearing as a “Jedi master” to Jim Parsons’ Sheldon Cooper, and also, did you notice we mentioned Dagobah? So, it should be pretty obvious that Newhart is playing Sy Snootles.